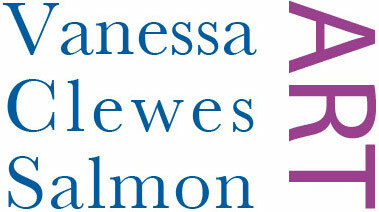 Vanessa Clewes Salmon Modern & Contemporary Art is rejuvenated and revitalised! We have emerged from hibernation and we hope you like our new website. Following our very successful foray into Cork Street at the Art for Art’s Sake Show last December, we’re delighted to be at the 20/21 International Art Fair at the Royal College of Art, in Kensington Gore, London SW7, from 9 - 12 May 2013. Well, Vanessa Clewes Salmon Modern & Contemporary Art ended 2012 on a high note. The brand new Art for Art's Sake Show was a great success - it was a lot of hard work but it was well worth the effort; it was busy throughout, we made many new contacts, we sold well as our colourful naive paintings proved popular and very important, it was fun.